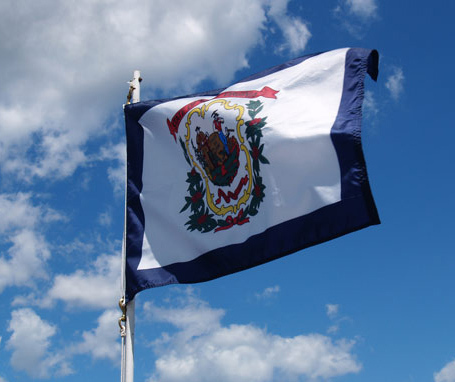 West Virginia state flag; waving proudly against a blue sky. Photo by Angela/Flickr (Noncommercial Use Permitted with Attribution/No Derivative Works). 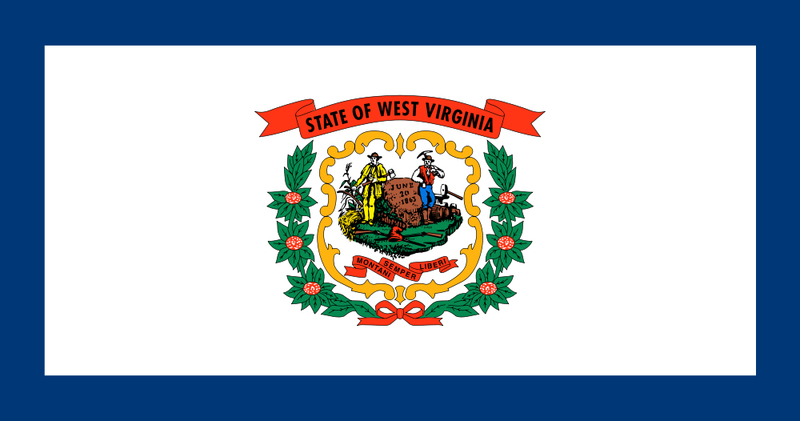 State flag of West Virginia (public domain image on Wikipedia). 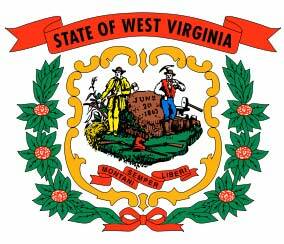 West Virginia coat of arms.